The Beauty Buff Blog: Beauty On The Run With The Beauty Buff-Multipurpose & Magical! Beauty On The Run With The Beauty Buff-Multipurpose & Magical! Life is all about organizing all your little components into smaller more efficient components so you have room for other components and then repeating the process all over again! What I'm really saying is life is easier with less stuff cluttering your bag, life and brain. When your wallet is also your check book and your cell phone is also your iPOD and map and mini computer you have less stuff and life is easier. It's also the subject of that recent car (?) insurance or bank commercial!? In beauty, products that serve multiple purposes are space and life savers. No more bag, drawer, table or life cluttered with stuff! Here are a few of my favorite beauty finds that not only serve multiple purposes but contain the keys to a cluttered-free easy breezy, beauty on the run-kinda existence. Votre Vu's Duette Luxe Lip Balm and Hand Crème. You'll never smell anything more tasty and delicious. The tube contains a rich lathering hand cream that smells like a mixture of cake batter, warm, decadent almond and coconut meringue pie and cupcakes all in one. It's everything you'd ever want to smell. The cream contains grape seed, sunflower and jojoba oils and nourishes the skin as much as it intoxicates your senses. The cap opens up to reveal a moisturizing balm that makes your lips feel satiny. The formula isn't heavy but contains equally nourishing essentials that keep your lips protected. 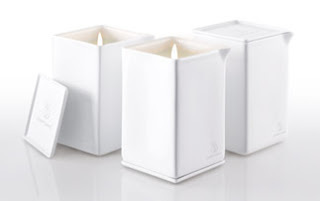 Jimmyjane's Ember Natural Massage Oil Candles are soy based candles that burn up to 72 hours and have a reusable porcelain container. Once the candle burns the paraffin/lead-free wax sufficiently, the oils can be poured onto the skin and used as massage oil or a moisturizer. The moisturizer is absolutely softening on the skin and makes your skin smell delicious and glow. Scents include: Habanero + Grapefruit, Saffron + Neroli, Coriander + Quince, Ginger + Date, Lychee + Lapsang and Truffle + Gardenia. Kai Body Buffer is an exfoliating sponge that's used to cleanse the skin. The inside of the sponge contains a sweet smelling blend of exotic perfumes and natural essences including palm, coconut and olive oil. It's the perfect two in one for the shower and releases kai's unique smelling signature fragrance of exotic gardenia and other potent floral mixtures. 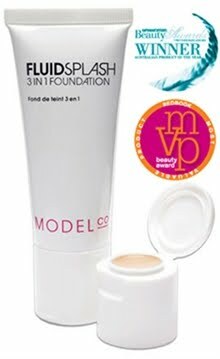 Model Co's FLUIDSPLASH 3 In 1 Foundation is a tube of liquid foundation that comes with a eye base and concealer conveniently hidden in the lid. The water-based foundation gives blendable and buildable coverage and feels light and airy on the skin. The concealer and eye base is enriched with Vitamin E and Aloe Vera and doesn't cake on the skin. NARS The Multiple has already taken on a cult like status. You've heard me highlight the product numerous times on the site and with good reason. 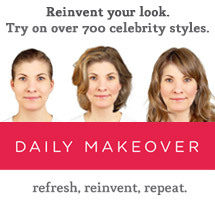 Makeup artists everywhere use one of the many shades to illuminate the skin of their starlet subjects. The Multiple was used at Mercedes-Benz New York Fashion Week, and oodles of red carpet events. It's just legit great and there's a shade that perfection for each and every one of us. Plus it's a "does-it-all" product. The stick is the original all-in-one, cream to powder, multipurpose beauty tool. It sculpts, highlights and warms the eyes, cheeks, lips and body.